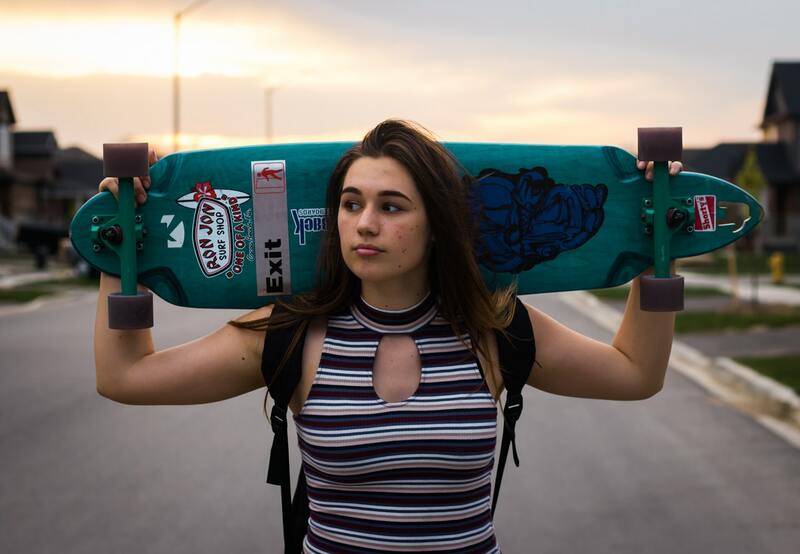 Learning how to stand on a skateboard may seem like an easy task, but in reality, it’s quite devious for those who have never stepped foot on one before. Standing on a skateboard is actually a lot like riding a bicycle, it requires balance and patience. So before you begin trying to stand on a skateboard, remember that being patient is a necessity. Before standing on your skateboard, you should make sure you’re prepared. Being prepared means wearing the proper clothing for the activity, before learning how to stand on a skateboard, you should be sure you have proper shoes, socks, and pants covering down to your ankles. If your skateboard is old/damaged make sure your grip tape still has enough grit to it so your feet won’t slide while you’re standing on your board. If your board’s grip tape seems like it won’t keep your feet in place consider replacing it for your safety. Also, don’t forget to wear a helmet. Even if you don’t think you’ll fall off of your skateboard, you probably will at one time or another. 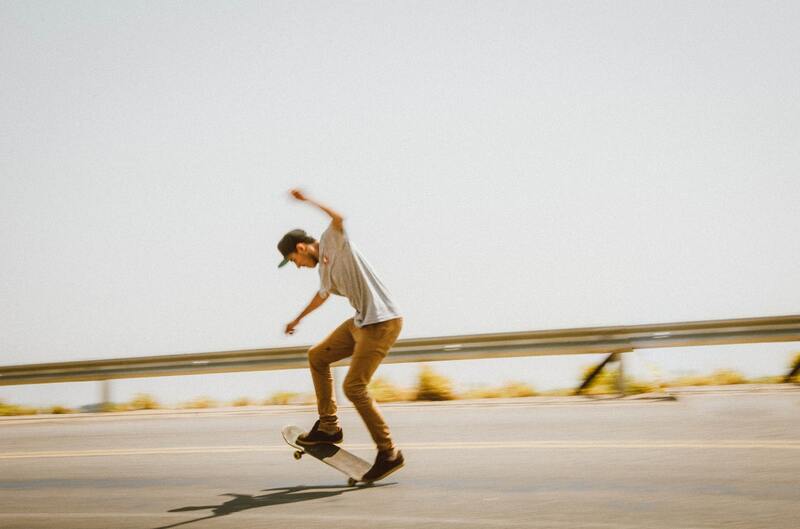 A lot of people don’t wear helmets because they think that they won’t look cool; however, most people don’t care how you look when you’re skateboarding. Look at Tony Hawk as an example, he has been considered one of the greatest skateboarders of all time, and he almost always wears helmets while skateboarding. Not only skateboard you should also wear other necessary protective gears. 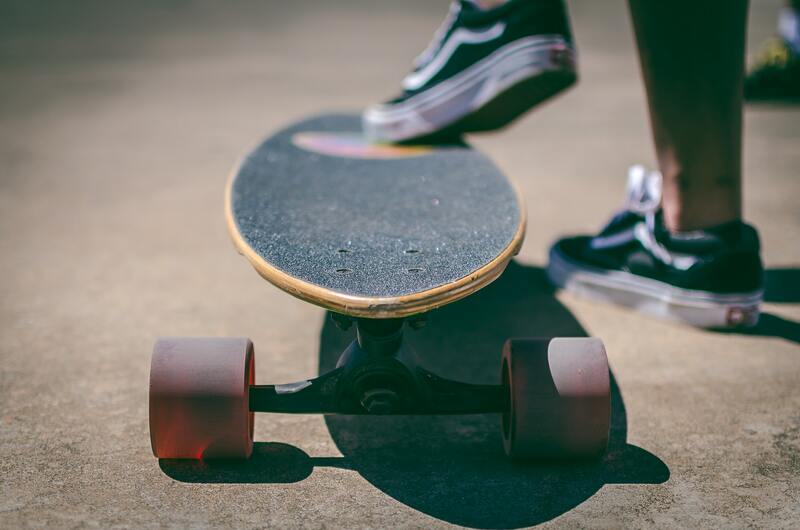 When first attempting to stand on a skateboard, many people go straight onto the cement, and this usually ends up in their board coming out from under their feet and them falling. You should always be on grass when first trying to stand on a skateboard, this way your skateboard will mostly stay in one place and not roll anywhere. When putting your feet on your skateboard, you should not put both of your feet on at the same time. Try putting one foot on and then putting your other foot on shortly after, this will help you get a feel for your skateboard before you put both of your feet on it. When standing on your skateboard, be sure you spread your weight out evenly across your board. This is so your skateboard doesn’t tip over to one side and have the other side up in the air. 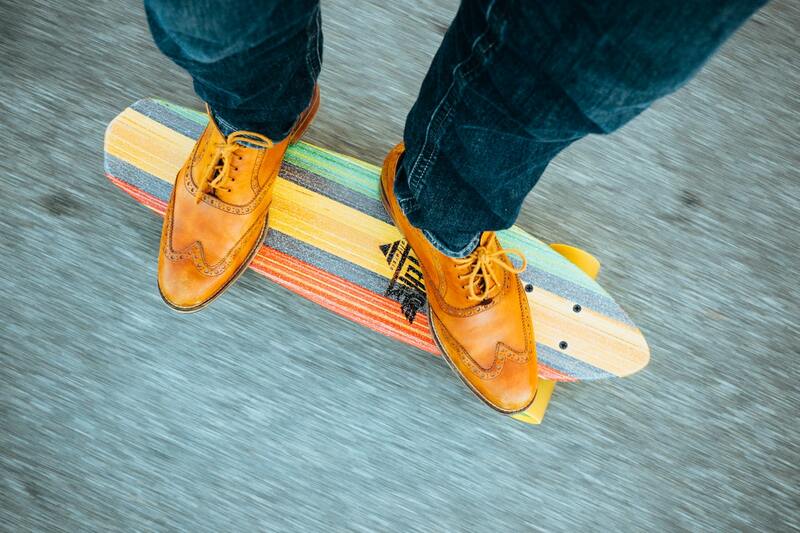 To balance your weight evenly throughout your skateboard, put your feet on the 4 screws on each side of the board. This step helps with keeping your stability on your board. Not only does it help with stability, but it also helps if you ever need to bail off of your board for any reason since you will be closer to the ground. Now that you know how to stand on a skateboard get a feel for it. Try moving your feet around on the board and experiment with it, this way you’ll be able to predict your board much easier. Congratulations, you have now learned how to stand on a skateboard! Now you’ll be able to try other things such as pushing the board itself or doing ollies. Also, keep in mind that skateboarding is a skill, it may take you a few minutes to stand on your skateboard; however, it may also take a few hours. 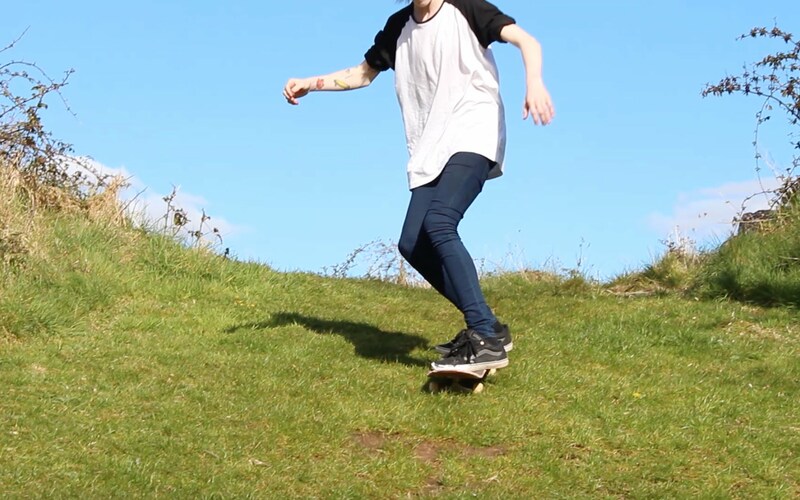 Keep trying….. no matter how many times you fail at attempting something on a skateboard; eventually, you’ll get it.